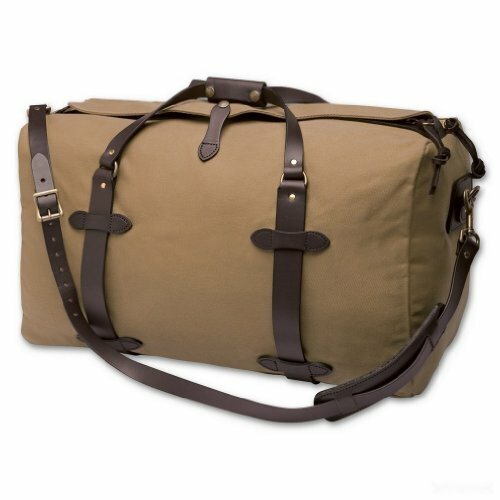 This water-repellent mid-sized heavy-duty duffel is designed to carry plenty of cargo and built to take a beating. Features two inside pockets at each end, leather pulls, leather grip with two-snap closure, and adjustable, removable leather shoulder strap with leather should pad. Two way brass zipper. Made in USA. Made from 22-oz. 100% cotton oil finished Rugged Twill with 100% Genuine Bridle Leather.